Sitters at the Shore made me feel comfortable leaving my children at home. When I caught my sitter reading and having fun with the girls, I knew I made the right choice. Our screening process consists of background, reference and personal checks. Interview by phone and a one hour, in-person interview with the owner. Three personal references and three employment references – childcare experience required! Copy of any certificates – on file, such as: CPR, substitute or teacher’s certificate. Social Security – state verification check. Drivers license on file – motor vehicle checks are only completed for summer nannies or those transporting children as a part of their job description. On-the-job evaluations – parents and children are interviewed concerning our sitter’s performance. Client feedback is requested after most placements. Criminal history check – verified through local, state and national searches. 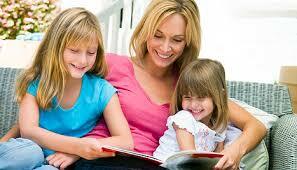 Most sitters are hand picked and specially selected after being recommended by other sitters or community members. We do not accept just anyone wanting to be a sitter. Our standards are high and we are very particular with who we accept into our organization as one of our Sitters at the Shore Sitters. Communicate effectively at the child’s level of understanding. Respect the family’s right to privacy. Support the child-rearing philosophy of the clients. Be truthful, honest and responsible. Provide developmentally appropriate play and learning experiences. Act as an advocate for young children. Create and maintain a safe and healthy environment for children. CPR Certification – (Offered but not mandatory) from the International CPR Institute, Inc.